As if one Flacco wasn’t enough for us to constantly talk about, Baltimore is getting another. And he plays quarterback, too. Tom Flacco, 10 years younger than his Super Bowl-winning brother, Joe, is transferring to Towson to play football this fall, in search of playing time he’s been unable to find at two previous college stops. Flacco graduated from Rutgers in May with a degree in labor and employment relations, but he still has two years of college athletic eligibility left after sitting out the 2017 season and transferring from Western Michigan. 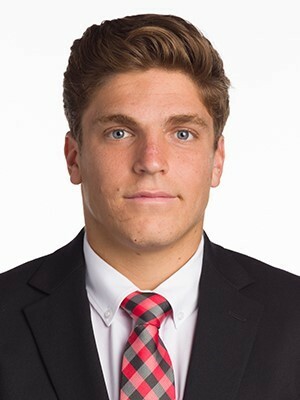 He was a walk-on at Rutgers and showed promise in a crowded quarterback battle this spring before deciding to leave for an opportunity at Towson. Tigers coach Rob Ambrose confirmed the move late last month. This Flacco, the youngest of Joe’s four brothers, is a little bit different than the one we know, according to Kirk Ciarrocca, who coached Joe at Delaware and Tom at Western Michigan. First off, Tom’s listed at 6-foot-1 and 185 pounds and was drafted by the Philadelphia Phillies while he was a high school senior at Eastern (New Jersey), where he was a three-sport star and one of the most decorated quarterbacks in the region’s history. He runs around a bit more than his older brother, and shows, ahem, a bit more emotion. "At times, [Tom will] make me smile because I'll think, 'Golly, are these guys different',” Ciarrocca said. “Tom is much more outgoing than Joe was. He's much more competitive. His reactions to things are much different than his brother's. They're just two totally different people. They're both great men and are awesome to coach, but they're totally different people." They look a little different, too. Here’s one and the other. If you spot them together at The Food Market, Miss Shirley’s, or Blue Moon Café—a few of the Ravens quarterback’s top dining spots—you’ll notice the difference. Younger bro threw for 188 total yards and average 8.6 yards per carry in limited playing time during two seasons at Western Michigan. How often will he see time on Johnny Unitas Stadium field? Flacco Part II obviously hasn’t moved here to sit the bench, but he will compete with returning starter, sophomore Ryan Stover (no, not Matt’s son), and an incoming freshman. Towson, entering its 50th season of football, is looking to improve off last year’s 5-6 record and seventh-place finish in the Colonial Athletic Association. The Tigers open the season Sept. 1 at Morgan State. 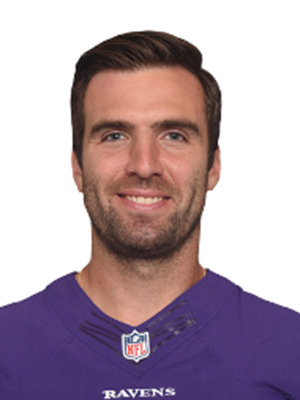 Meanwhile, the 33-year-old Joe is also looking for a rebound season, amid the Ravens signings of a few other new QBs: former Redskins starter Robert Griffin III and rookie Lamar Jackson.